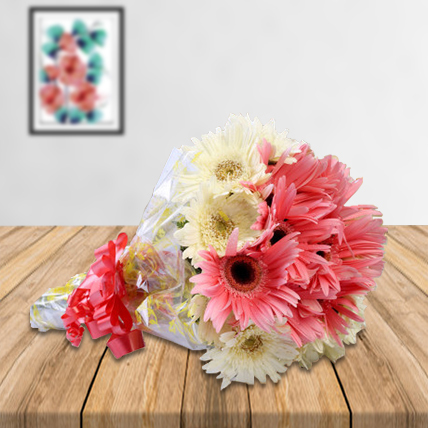 With multiple colors of rose sin one bouquet, you can let the other person know about your fathomless love. Red yellow, pink, and white colors would surely increase the sweet emotions in your life. 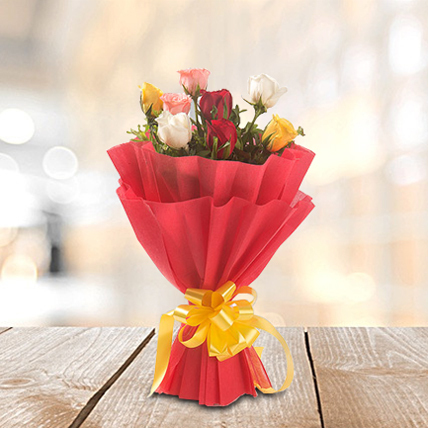 It includes 2 red, 2 yellow, 2 pink and 2 white roses with red paper packing and yellow ribbon.